This blog post was written by Jason Mathers, Senior Manager of EDF’s Corporate Partnerships Program. The International Energy Agency weighed in last week as bullish on the future of natural gas as a transportation fuel. Three factors are behind this increase in the use of natural gas for transportation, according to Maria van der Hoeven, the IEA’s executive director. These are the fuel’s “abundant supplies as well as concerns about oil dependency and air pollution.” The cost factor is particularly a driver for commercial fleet operators where current fuel prices have become more favorable for natural gas over diesel. In the U.S., all new trucks fueled by diesel or natural gas must meet the same standards for emissions of particulate matter and nitrogen oxides. Natural gas engines for medium- and heavy-duty trucks have surpassed U.S. Environmental Protection Agency’s stringent standards for particulate matter emissions by as much as 80 percent and for nitrogen oxides by up to 35 percent. Cummins Westport, the leading producer of natural gas engines, is investigating the feasibility of reducing NOx emissions from its spark-ignited natural gas engines to levels significantly below the current federal emissions standard. Natural gas trucks have the potential to deliver tangible greenhouse gas emissions benefits over their petroleum-based counterparts. This certainty that natural gas vehicles are able to consistently deliver on their potential climate benefits in part depends on minimizing methane leaks caused by vehicle operations, refueling and maintenance. In March, EDF announced our work with leaders in vehicle emissions research and the trucking and natural gas fuel industries to determine emissions of methane associated with routine operation of natural gas fleet vehicles fueled by compressed or liquefied natural gas. Already in progress, this study is the first attempt to directly measure methane emissions at CNG and LNG fueling sites and vehicles. The study includes transit buses, tractor trailers, and vocational fleet vehicles at both public and private fueling location. In an exciting recent development, Clean Energy, North America’s largest provider of natural gas fuel for transportation, signed on as a partner in the study. 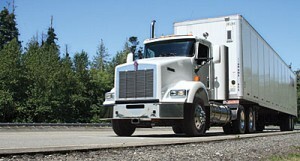 Clean Energy builds, operates and maintains CNG and LNG fueling stations. Clean Energy joins a group of industry leaders seeking to understand the scope of methane emissions associated with the refueling and operation of natural gas fleet vehicles. Other industry partners in this study include the American Gas Association, Cummins Westport, PepsiCo, Shell, Volvo Group (Volvo Trucks and Mack Trucks), Waste Management and Westport Innovations. The International Council on Clean Transportation – an independent nonprofit organization that conducts transportation research and analysis – is also supporting the project. The WVU study is part of a broader EDF effort involving a number of researchers and companies to better understand and characterize methane leakage rates across the natural gas supply chain. The results of the first study, led by researchers at the University of Texas and that focuses on production emissions at the well pad, will be released in the coming weeks. Results of the WVU study are expected to be published in a peer-reviewed journal in early 2014. As the IEA projections released last week made clear, natural gas is poised to play an increasingly important role as a transportation fuel – both here in the U.S. and around the globe. Most of this natural gas is likely to be consumed by medium- and heavy-duty trucks, an already significant source of greenhouse gas emissions within the transportation sector. Better understanding the climate impacts of a switch to natural gas in these areas is essential – and is precisely why EDF is involved. When you’re on the road to someplace new, much like the uncharted path ahead for a growing natural gas fleet market, a map can be the difference between getting where you’re going or ultimately missing your mark. This cooperative study is an effort to ensure that these vehicles live up to their environmental potential. Bringing data to the fore that will provide much needed direction on the actual scope of methane emissions associated with operating a natural gas fleet. This information will be critical to putting solutions in place that minimize leaks and maximize the greenhouse gas benefit of natural gas as a transportation fuel.